Please visit our St. Michael chapel and spend some time with our Lord and Savior Jesus Christ in Eucharistic Adoration. 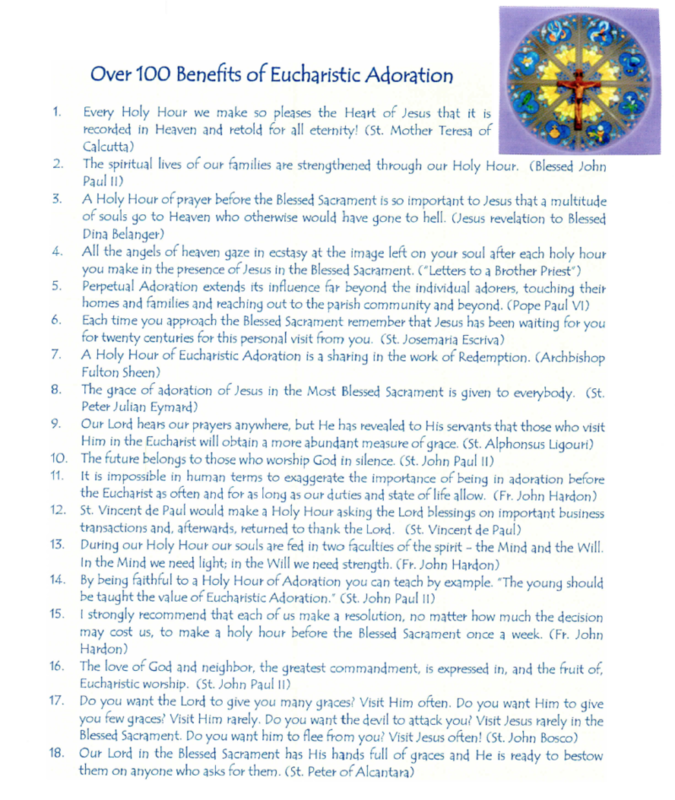 Plan to spend a Holy hour weekly with Jesus. It’s okay if you just have a few minutes while driving by the church or on a lunch break or maybe to or from work to stop by and say hello. Jesus likes to see you, person to person, and listen to you. If you’re quiet enough, patient enough, humble enough, you may hear His voice for the first time speaking to your very heart and soul.